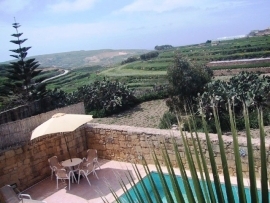 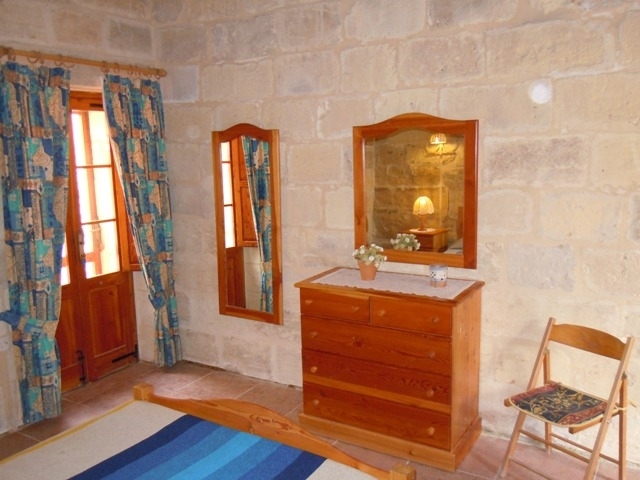 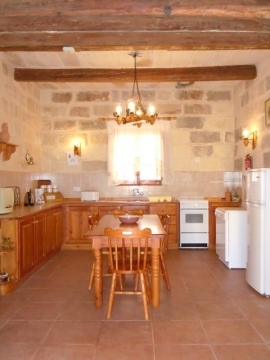 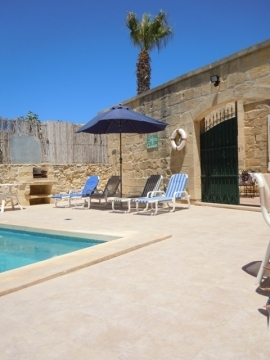 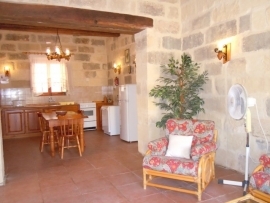 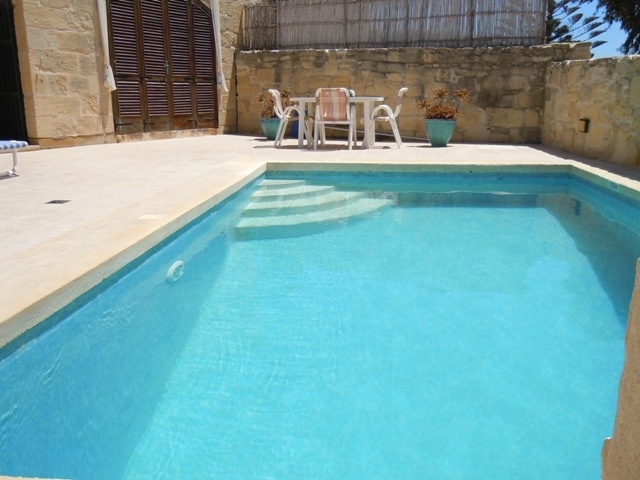 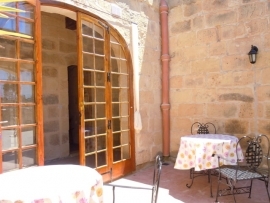 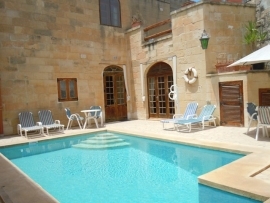 This 2 bedroom holiday house is located few minutes walk away from the countryside, food shops, restaurants, Ta` Dbiegi Crafts Village and Saint Lawrence square. 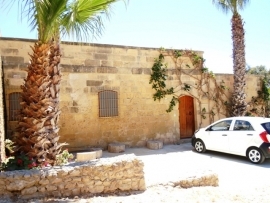 Whilst it is few minutes drive away from Inland Sea, Fungus Rock, Dwejra Tower, Ta` Pinu Basilica, Ghammar Hill and San Dimitri Chapel. Entrance is from an alley and then to a driveway. 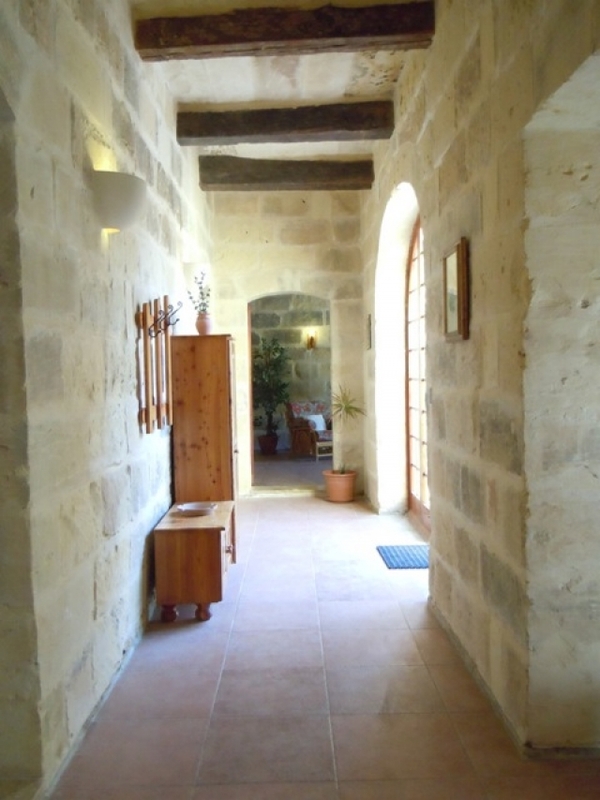 From this driveway there is a door to an interior hallway. 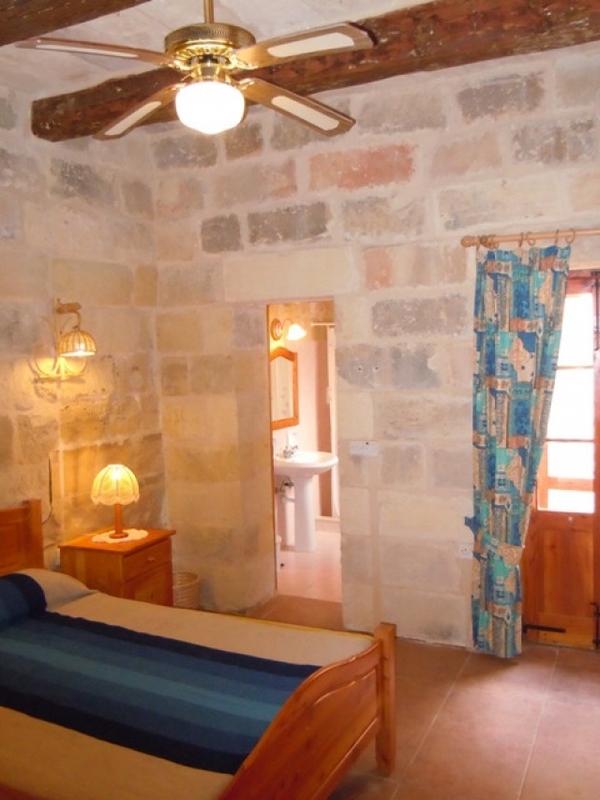 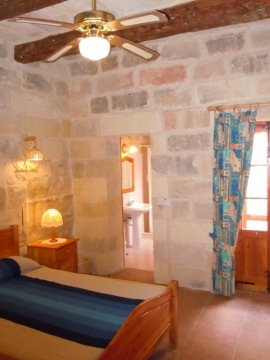 Spacious double bedroom (1 double bed) with a ceiling fan plus got an en suite shower room. 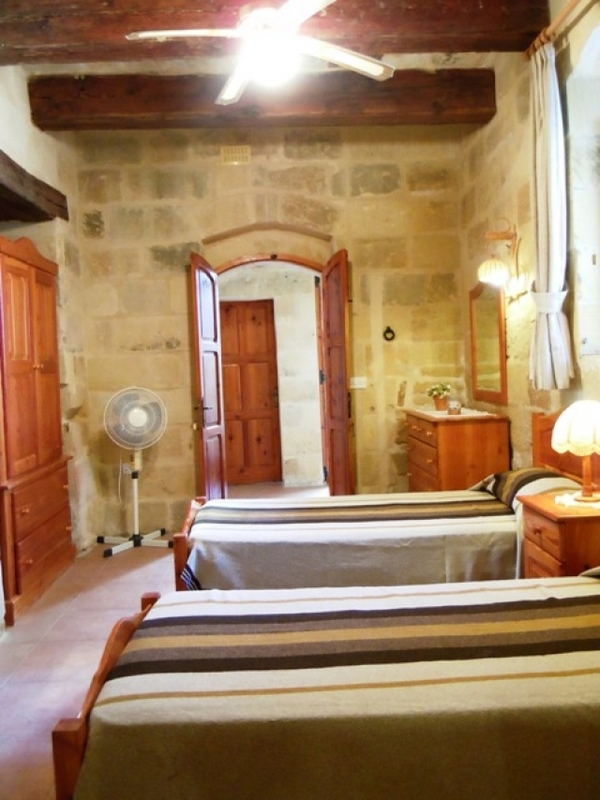 This double bedroom got a patio. 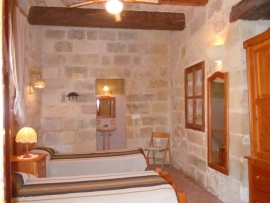 Spacious twin bedroom (2 single beds) with a ceiling fan plus got an en suite bathroom. 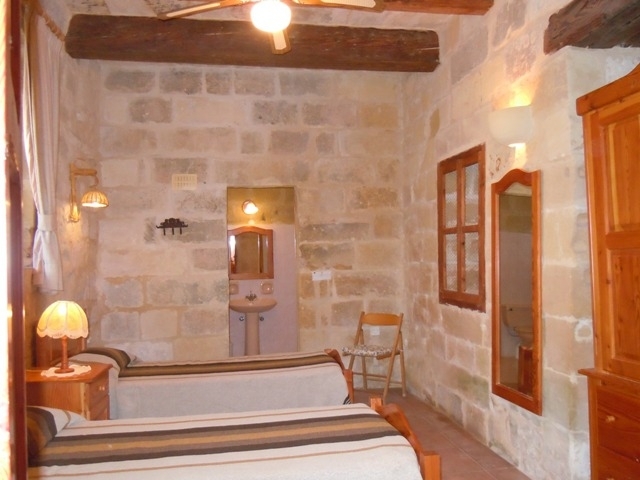 There is a spare toilet with washing machine in entrance hallway. 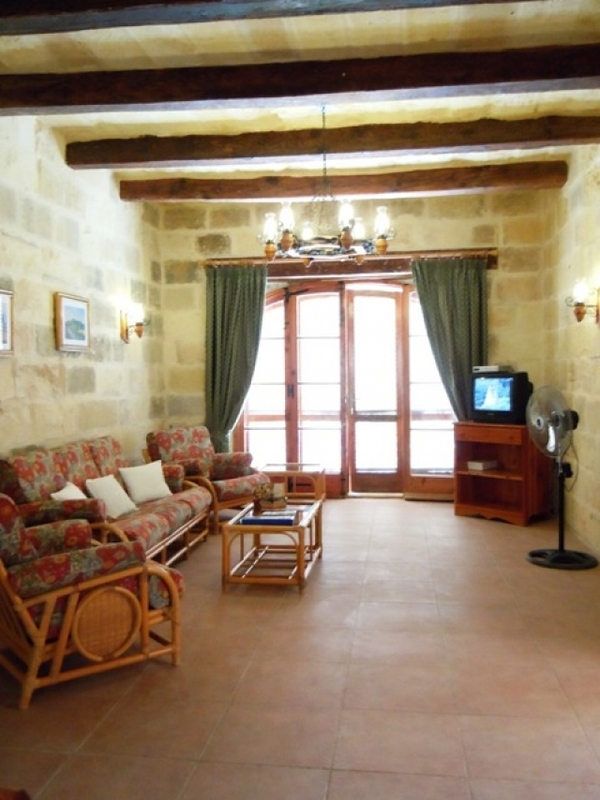 This same hallway leads to a spacious kitchen, dining area and sitting room with multilingual channels on television. 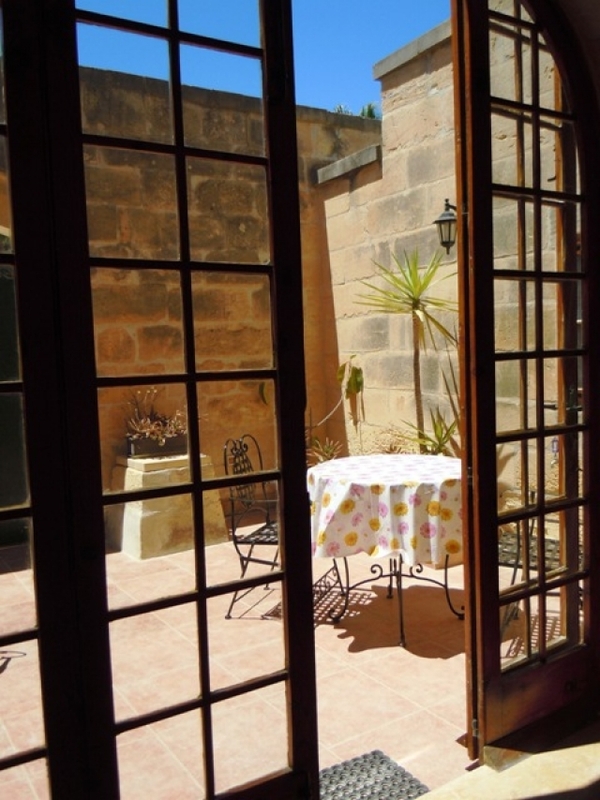 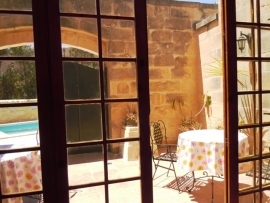 In the sitting room there is a glass door with wooden louvers which opens to a sunbathing area with swimming pool, sun loungers, chairs, table, umbrella, built in barbecue and open air shower area. In swimming pool area there is a gate leading to a patio with 2 tables and 4 chairs. 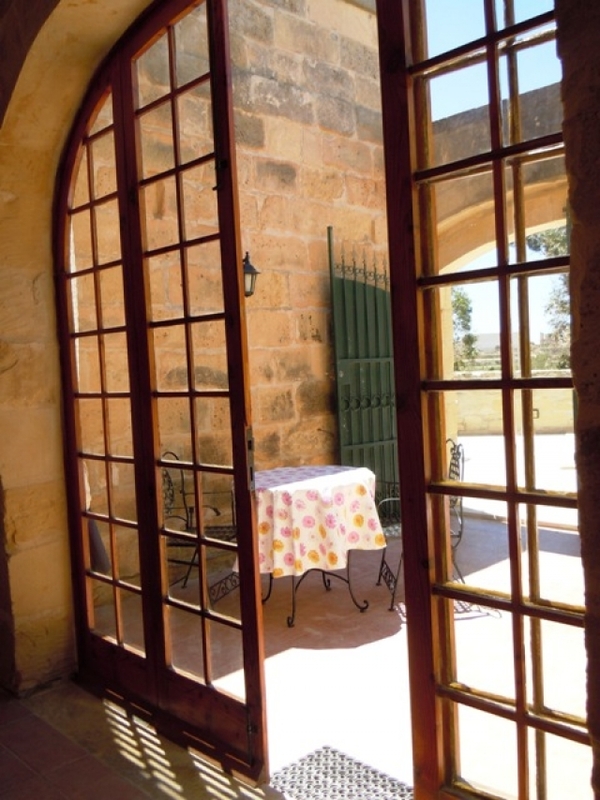 From this patio there is a glass and wooden door leading to an interior hallway. In interior hallway there are stairs leading to a roof terrace. 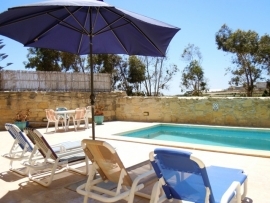 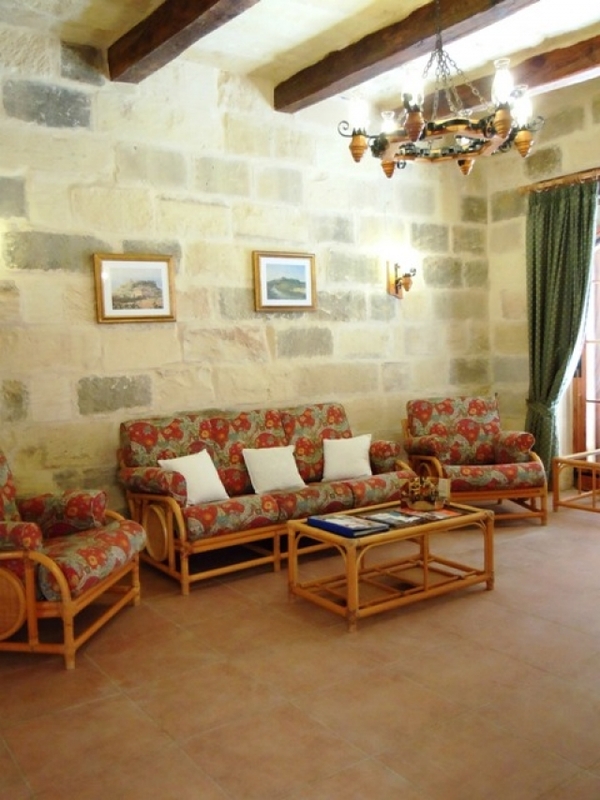 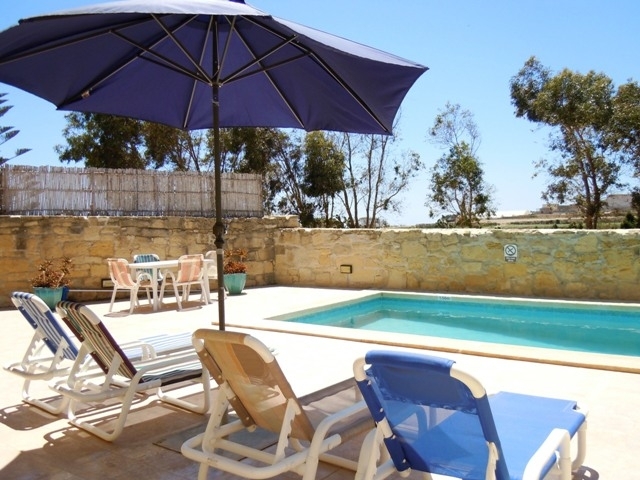 Nearest food shops, pharmacy, restaurants, bars, Ta` Dbiegi Crafts Village: are around 10 minutes walk away from this holiday house whilst around 5 minutes drive away from this holiday house. 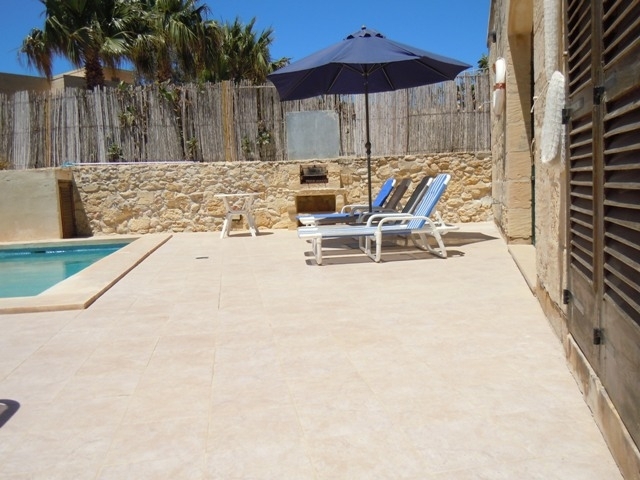 Saint Lawrence village centre: around 10 minutes walk away from this holiday house whilst around 5 minutes drive away from this holiday house.